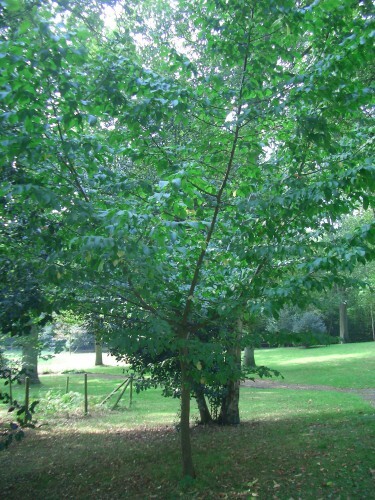 Hornbeam is a tree that is native to England and most common in the south of the country. The leaves are similar to beech but have prominent veins and serrated edges. 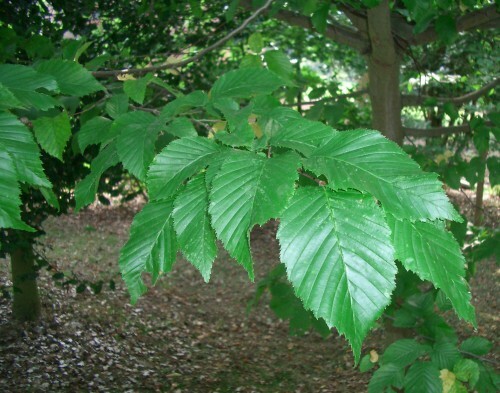 In the spring it bears catkins and in autumn the fruits are in the form of nutlets attached to a three-lobed wing. The wood is very hard and is used for making tools.